The photo was taken in June 2004 in Rangely, Maine. I spotted the Moose just a very short distance off Main Street on Rte. 16. 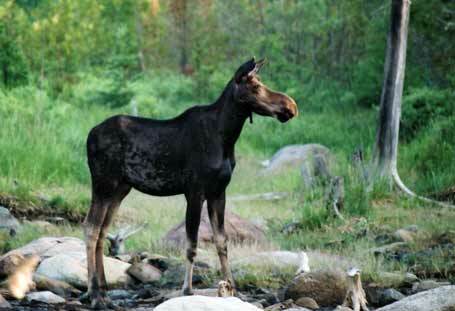 This was my & my husband's first moose viewing trip. It was so much fun trying to find and photograph these wild creatures in their natural habitat. They seem so calm, cool and collected. Being stalked by camera-carrying tourists doesn't seem to bother them in the least.